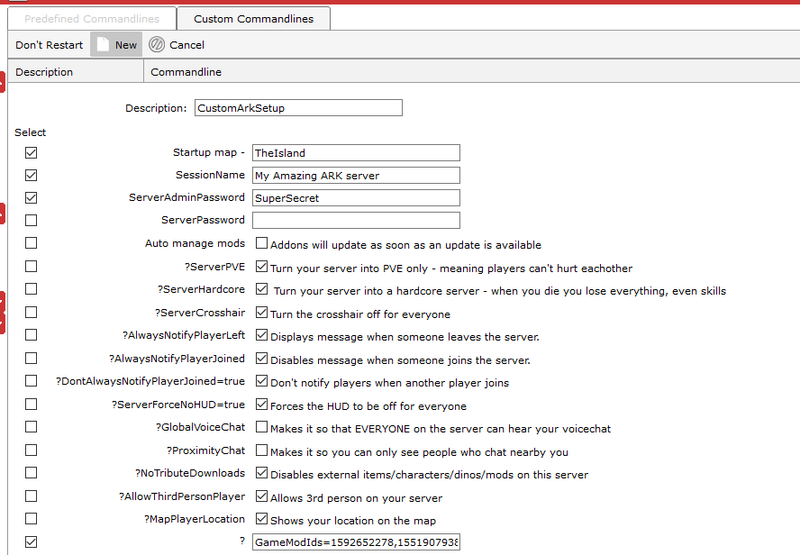 Adding mods to your ARK server is a fairly simple process. 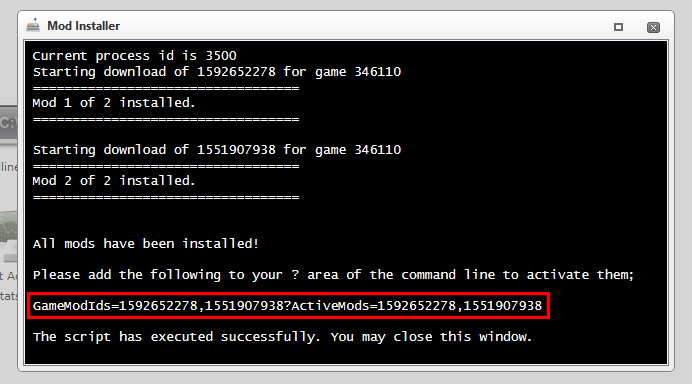 Our new Mod Installer makes this process extremely simple to do. Open up Steam on your computer. Hover over 'Community' and then select Workshop from the dropdown menu. 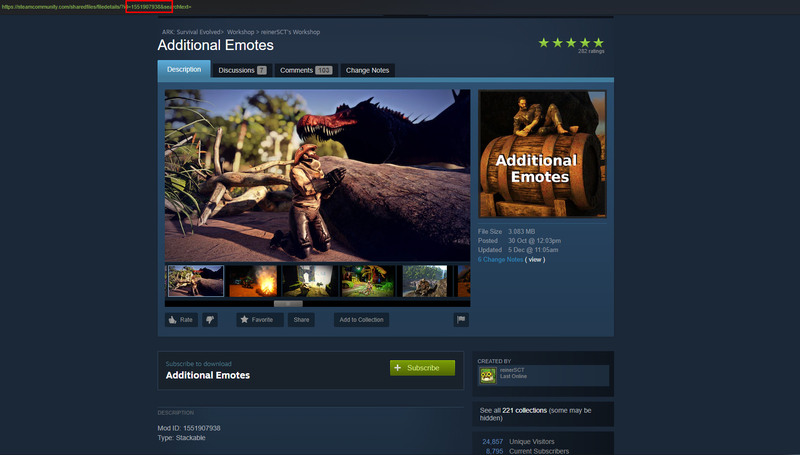 You then want to search for ark, and then select ARK: Survival Evolved from the search dropdown. This should then take you to the workshop centre for ARK:SE. Browse through various mods. When you find one you like, simply copy the modID. Now you will want to copy your Mod ID's into the file. Save the file and head back to your server control panel page. You will now want to copy the provided line (outlined in red above). Click on Command Line Manager. Set a name for the new command line ie. 'Custom ARK startup'. Paste in the box the line we copied earlier. Then finally click Select at the far right of the newly made command line. Your server should now be ready to use and all of the mods enabled. The mod installer can be used to update any mods you already have installed, however it will overwrite any changes you have made.